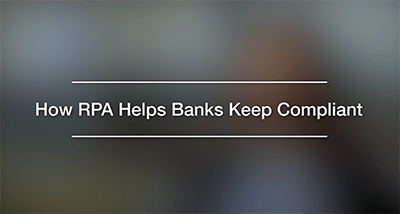 Breana Patel, Founder & CEO of Bonova Advisory describes the compliance processes and leveraging automtion platforms like robotic process automation go beyond simply automating mundane tasks. Watch Jim Marous, a top 5 Fintech influencer and internationally recognized financial industry strategist, as he reveals top considerations for bankers seeking to embrace the latest digital engagement models -- and most importantly, take the necessary risks and "disrupt" themselves. The future of work is combining robotic process automation (RPA), artificial intelligence (AI) and your human resources to create a more intelligent workforce. Join Dermot McCauley, Vice President of Platform Product Marketing at Kofax, in this video Q&A with the UK Telegraph's Business Reporter. 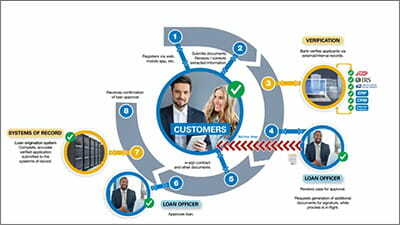 Now that you successfully integrated SAP with your financial operations, you’re ready to streamline all your financial processes with ReadSoft Process Director. 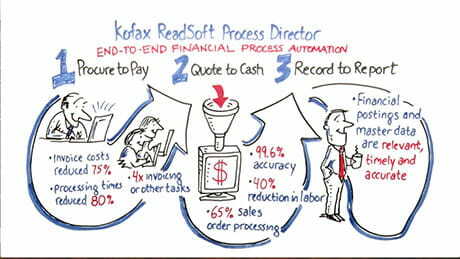 Kofax ReadSoft Process Director is a SAP certified process automation solution that improves your productivity and profitability from Procure-to-Pay and Quote-to Cash to Record-to Report. Applying for a government program, service or document is like a journey for constituents. For government agencies, the goal is to accelerate this journey to a positive result by providing efficient service. Kofax helps reduce errors and accelerates processes to meet—and exceed—those expectations. Accounts Payable automation solutions can transform your AP department to greater efficiency, productivity and profitability. Learn the five ways that Kofax solutions can streamline your accounts payable processes today. Moving towards more efficient and automated AP processes, Pet Partners boosted accuracy, increased productivity and cut invoice processing times from weeks to days. With accounting teams freed from manual tasks, they can easily handle a greater workload, helping Pet Partners grow without increasing headcount. The customer experience is a journey. Things like opening an account, applying for a loan, credit or insurance… every interaction is an opportunity to provide a great experience for a lasting customer relationship. Kofax digital transformation solutions accelerate these journeys to a positive result. Propelled by the wealth of data at their fingertips, customer expectations for mobile retail experiences are at all-time highs. Simple, accurate and fast mobile solutions empower you to provide customers a better experience that improves satisfaction and breeds loyalty. 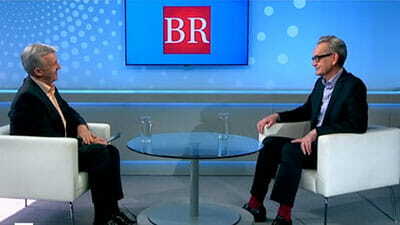 Is Robotic Process Automation (RPA) a flash in the pan or a sustainable technology? What are top use cases across industries and business functions? What’s the difference between RPA and Artificial Intelligence (AI)? 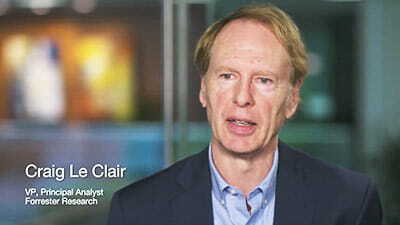 Craig Le Clair, Principal Analyst and VP at Forrester Research, answers these questions and more in this new Q&A.